The 2016 National Road Safety Conference programme comprised the following four elements. The main conference programme comprised four sessions covering: road user psychology; public health & road safety; social marketing, social media and engagement; and a round up session covering other topics. 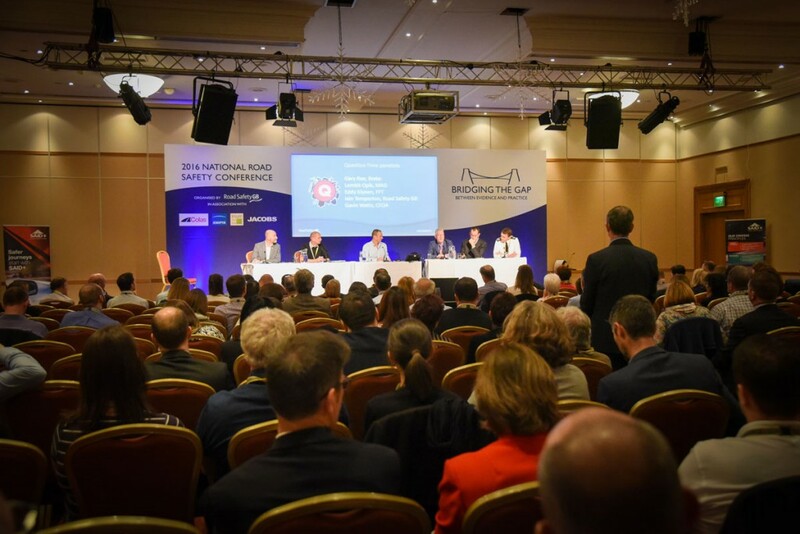 In addition to the main conference programme there is a ‘Fringe’ programme with presentations covering a wide range of road safety related topics. One fringe session will focus on the issue of speed management. Question Time is always one of the highlights of National Conference. The session runs on similar lines to the BBC programme of the same name, with delegates invited to submit questions in advance and on the day. New for 2016 is this optional session at the end of the first day in which experienced practitioners will provide advice and help on a small group basis on the following topics: the School Crossing Patrol Service; working in partnership with the Fire Service; revenue generation/self funding/charging for road safety services; Bikeability (applying for funding etc); and getting the most out of data analysis.